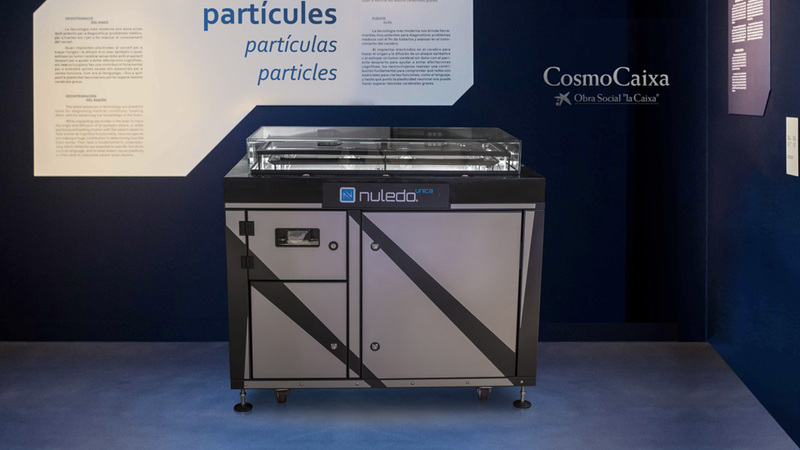 The science museum CosmoCaixa in Barcelona had bought the Nuledo Unica Cloud Chamber to enable its visitors to dive into the mysteries of nuclear and particle physics. Unique interactive elements aim to engage visitors and make science education even more entertaining. A system of radon injection allows observation of the fascinating thorium decay chain. A thorium mantle window demonstrates that the source of radiation is an artificial one. Advanced camera system allows displaying of radioactive particle tracks from the Nuledo Cloud Chamber all around the exhibition room. Radionuclide module allows observation of the physical properties of different kinds of radiation produced by different artificial radiation sources. 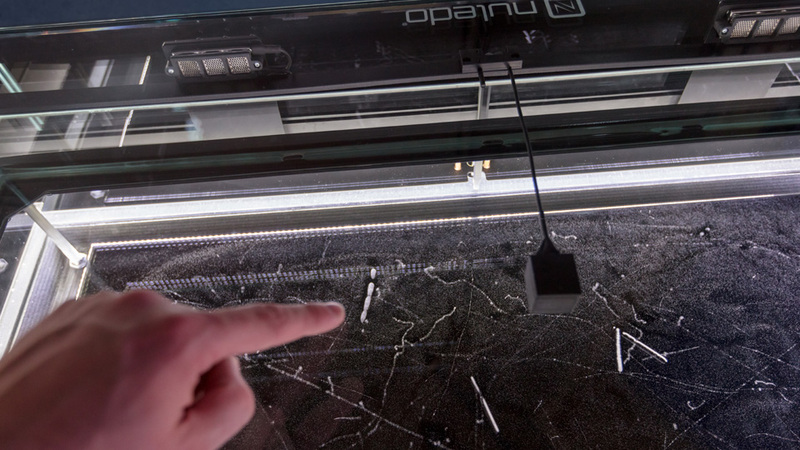 A high level of personalisation allows adaptation of Nuledo Cloud Chamber functions according to the opening times of the exhibition and the feedback of visitors. 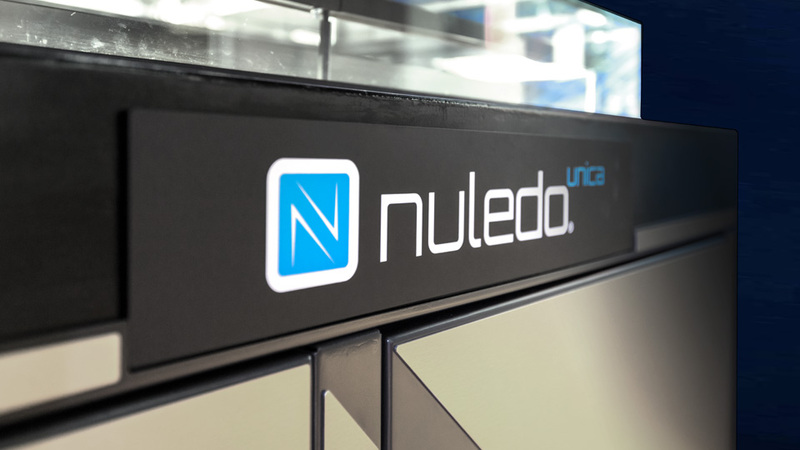 The Nuledo Unica was delivered directly to the exhibition in Barcelona, fully installed and configured and the local personnel was trained to operate it. Interested in a cloud chamber? Contact us! 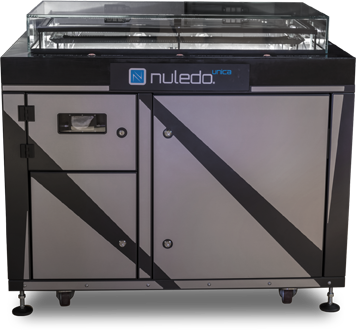 Nuledo is a manufacturer and supplier of high quality cloud chambers. 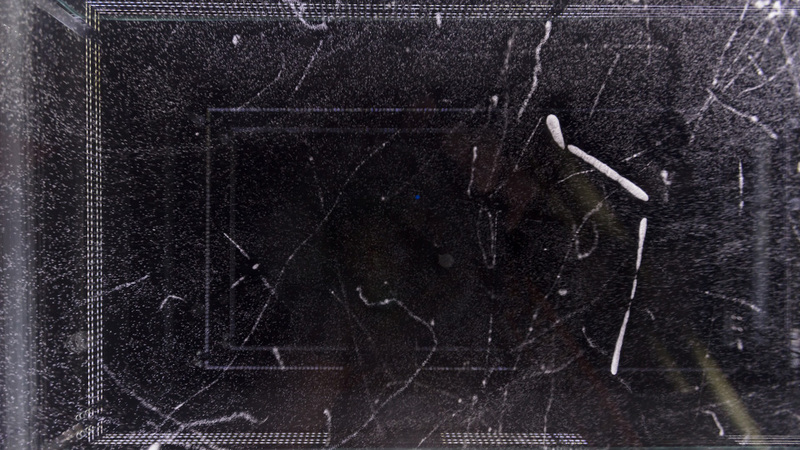 Nuledo Cloud Chambers are high quality devices offering vast interactivity which makes them the unique educational tool for physics and technology education and popularisation.